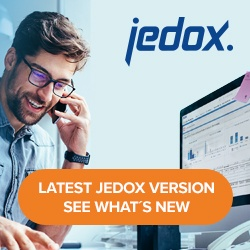 A Jedox Integrator process is executed via a job, which is the last step in the Integrator process. The seven job types in Jedox are briefly described in the table below. Follow the links for more detailed articles on each job type. Standard job Executes several loads consecutively. May also contain and combine other jobs that are executed as sub-jobs. Parallel job Executes several loads or jobs simultaneously. Groovy job Executes a script in the Groovy programming language. External job Executes jobs from another Integrator project as a sub-job, splitting Integrator logic into several projects and executing them together in one central job. Performs multiple processing of another parameter-dependent load or job with differing variables. Can also be used to set variables dynamically for a load or a job. Switch job Builds an execution chain based on conditions.